People browsing on mobile phones behave differently than those on desktops. How can you fine tune your mobile site for that difference? What works in one space might not work in the other. As browsing from smartphones has become more mainstream, marketers have had to account for the fact that the differences between desktop and mobile browsing mean that visitors will act differently when reaching your site. Here is an example of a mobile version of a lead collection landing page. 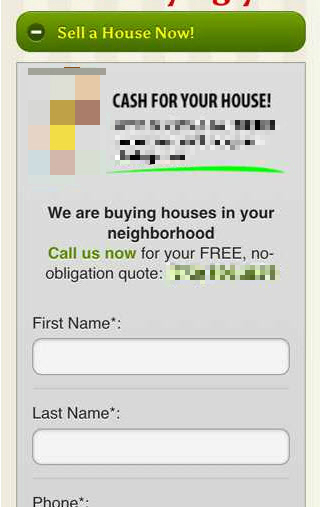 It collects leads both through form submissions and direct calls (the pixeled text has a linked click-to-call number). The majority of leads submitted through the desktop site come from its form, and to match, the mobile page gives the majority of its real estate to that form. However, the mobile page performs at a fraction the efficiency of the desktop page. Putting a nine-step form onto a mobile landing page is a surefire way to irritate visitors and lose potential conversions. Mobile keyboards can be clumsy, and visitors who don't want to bother with small keys or autocorrect need to know that there is an option available to them. That's why our test variation bumped the form to the bottom of the page and emphasized a big, bold click-to-call button. That way, any visitors who wish to be contacted (but not right now) can scroll down to the form. Everyone who doesn't want to bother with the form — or is interested in an instant interaction — can easily find a way to do that. We saw phone calls increased by 6x, as well as a modest increase in form submissions. While there isn't much potential for phone call conversions with the desktop version of the landing page, there definitely is with the mobile page. 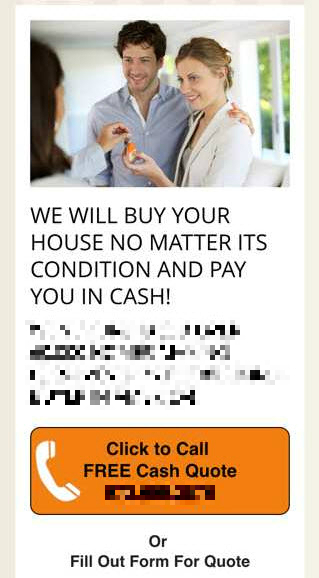 This page was leaving money on the table by expecting visitors to fill out its form rather than convert via the click-to-call button. When optimizing your mobile site, it is important to consider the browsing habits of the people visiting your page and to make it as easy as possible for them to convert with you. For many mobile sites, that means dropping the form submits or the web transactions and emphasizing phone calls.